If you want to attract high-value employees in a marketplace that is growing increasingly competitive with each passing day, you need to start by putting yourself in their shoes. What are some things that 21st-century talent may be looking for that you aren't currently offering? Thanks to things like SaaS (software-as-a-service) and IaaS (infrastructure-as-a-service), the ability for businesses to allow employees to work remotely has become a significant priority for quality applicants. Even if you don't feel comfortable bringing someone on and allowing them to work from the home full-time, see if having them work remotely two out of the five business days is something you can manage. Likewise, BYOD (bring your own device) has become a significant priority for younger employees. It lets them bring their own smartphones, tablets and other devices to work that they already feel comfortable using, thus increasing the overall quality of the work they're able to generate. It also helps save money for businesses, as you no longer have to pay to purchase and maintain a computer for an employee if they're already bringing one from home. These small changes to your existing policies can go a long way towards creating the type of environment and culture that attracts the talent you're after. Another one of the core ways to attract valuable employees these days involves being as competitive as possible when it comes to job perks. Apple, for example, has a now-legendary attraction strategy that includes not only traditional perks like healthcare, but also things like educational reimbursement as well. Not every company has the type of bankroll that Apple does, but it's always important to remember that making an investment in your employees through competitive perks is ultimately an investment in the future of your company. 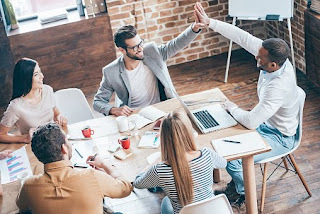 These are just a few of the many ways that you can create the type of environment that makes it easy to attract high-value employees and even easier to retain them for the long haul. Remember: quality employees don't grow on trees, and the difference between someone who is "just punching a clock" versus someone who is putting their blood, sweat, and tears into the task at hand is an immense difference, indeed. By putting yourself in their shoes and creating the type of company they can't help but want to work for, you, in turn, create the kind of company clients can't wait to do business with.